Pedro traveled from Sydney via Dallas to the first annual Texas Aero Championships. 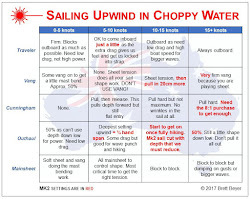 So Pam and I drove down to Conroe Yacht Club with him to get some foil mentoring, and Pam got some great videos. As you’ll see, CYC was an ideal place for this. Many thanks to KO Sailing for providing some excellent Aeros to play with. This was my first experience in an Aero which I'll write about in my next post. 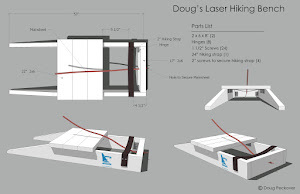 This was actually the Laser foiling kit with a prototype Aero centerboard insert. So you can foil on both the Laser and Aero with the same kit. For more info, contact Pedro. Update: Marc Jacobi won the first Aero World Championships! I am very impressed. And it sounds like Pam was having fun too. It was great fun for both of us. 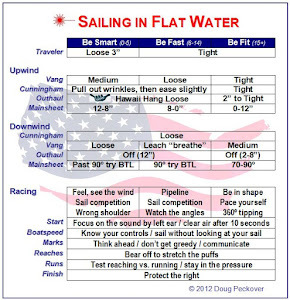 Watching Pedro first made it easy - keep the boat flat, steer with the mainsheet, and move your weight forward when you get up. Yes and no. Yes because it's a really beautiful design and no because we already have 7 boats. We're thinking about how we might rearrange our collection. Great video - looks like fun. How much of a learning curve is there before you can foil? Judging by Doug and Marc ... you'll be foiling in about 5 minutes.